Most of us have had the experience of hearing/seeing a fantastic musician perform, and thinking that he or she made it look easy. Chances are that it actually was fairly easy for the performer. Why was it easy? Because the performer had great clarity and a well developed muscle memory. Almost everyone has the ability to make complex tasks seem easy. Let me give you an example of a complex task that most of us think of as easy, tying your shoes. Most of us can do this task with great ease, without even looking, and probably without even thinking about it much. It’s easy, right? Well...if you really think about it, the process as a whole is pretty tricky. Imagine trying to explain tying shoelaces, in a bow, to someone who has never done the procedure. Not so easy. Remember when you first learned? It probably took you months or even years to master. But, over time, you repeated it enough that it became almost completely automatic. You can probably shut your eyes, right now, and completely imagine the process. However, what if you tried starting to tie your laces starting with the hand opposite of the one you usually start with. Not so easy. For the record, I just tried it, and while I could do it, it took me much longer than normal, was a bit sloppy, and I had to really think about it (JC). The repetitions are not there and so neither is the muscle memory, nor a clear image. But, what if instead of trying to do the complete process we start with just the first step; grab each end of the lace, one in each hand. Simple right? Repeat this part until it is mastered. Then take step two; cross one side of the lace over the other and hold, with the thumb, the lace against the index finger. Pretty simple, right? Repeat steps one and two until they are easy. Continue like this until the whole process is complete. In this manner clarity and muscle memory is developed. The point here is that music can be learned the same way. 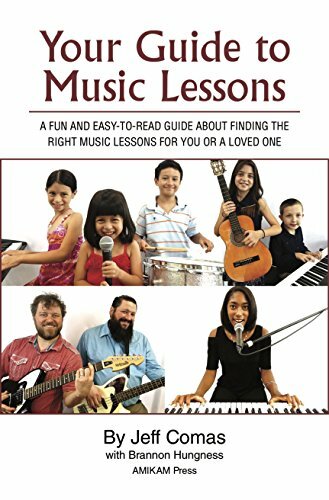 In fact this is by far the easiest way to learn music. However, it is often not the way it’s done. The student wants to play the whole piece, and so they try to plow through the whole thing at once. The problem with this method is that clarity is not developed because too much information is presented; the muscle memory also is slow to develop in this way because the motions are probably not consistent and there are too many different motions to learn quickly. So, students (younger students need help from their parents) can typically make big improvements in their learning pace by breaking learning into smaller, easier steps. Repeat the smaller easier steps, and then put the pieces of the together. I urge you all to try this. I promise it works. On a side note, I have an interest in Haikus; I love to use them to take larger ideas and whittle them down. Here’s one I wrote to summarize this article.